Get Ready to Bowl for Kids' Sake 2019! 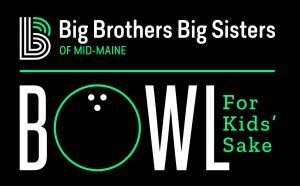 Bowl For Kids’ Sake is Big Brothers Big Sisters of Mid-Maine's largest fundraiser. Each year hundreds of people come together to have fun and raise money to support Big Brothers Big Sisters as we work to help change kids' lives for the better, forever! 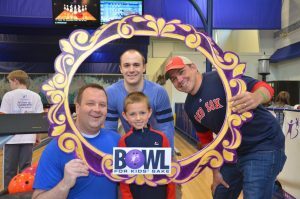 Bowl For Kids’ Sake is the perfect way for individuals to make an impact on our community - it only takes a little bit of effort to raise the money that is vital to our program’s success. As a “thank you” for your support and enthusiasm, we host a celebratory party at your local bowling center. No bowling expertise is required, only the willingness to share in our heartfelt and sincere thanks for helping us transform our community. We need your help to raise community awareness of the challenges faced by local children and to ask for the financial support need to help change the trajectory of a child’s life. Step 1: Recruit 4 to 5 people to join you in raising money and awareness about BBBS Mid-Maine. Register your team online or download a team roster and send it to us. Enter early and be entered to win a team lunch! Step 2: Set a team fundraising goal- AIM HIGH! All teams raising $500 or more receive a signature Bowl for Kids' Sake t-shirt and individuals who raise $100 or more are entered into a grand prize in each region. Be your event's top fundraiser! Step 3: Motivate your team to raise money for Big Brothers Big Sisters by sharing the impact of BBBS in your community. Step 4: Have Fun! Join us at the a local bowling center to celebrate your team’s success! Remember, it’s not about how good a bowler you are, it’s celebrating the impact the money your team collected will have on your community! Can’t make an event? Donate to a team or consider becoming a virtual bowler. Click on your regional event below to get started. 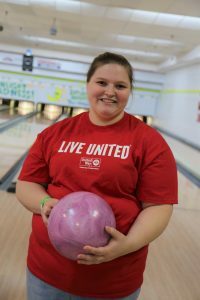 Hundreds of people Bowled for Kids' Sake in Midcoast, Kennebec & Somerset, Androscoggin, and Penobscot counties in 2018. Visit our BBBSMM Facebook Page to see all the team photos!